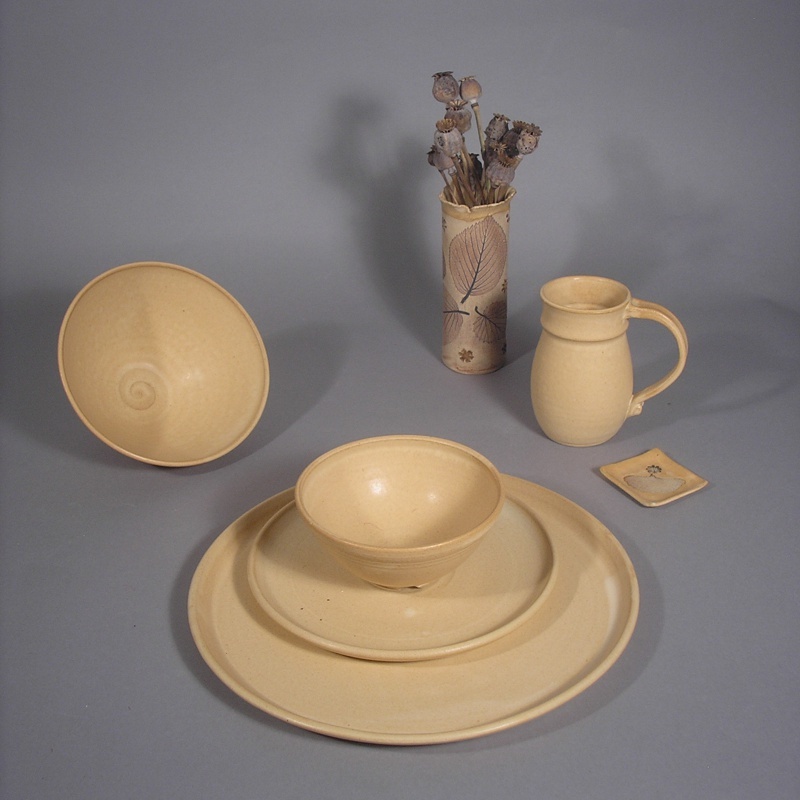 Mary Thomas Firestone was born and raised in North Carolina, where at a young age she discovered her medium while playing with the indigenous red clay in her own backyard. 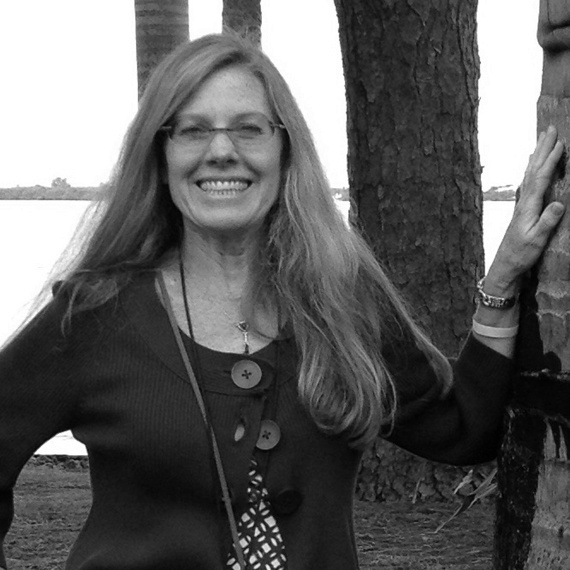 She set her art on the back burner, however, while she pursued a botany degree at the University of North Carolina at Chapel Hill and moved to Indiana to garden and raise her family. In 1992 she revisited clay and has been deep in the mud ever since. 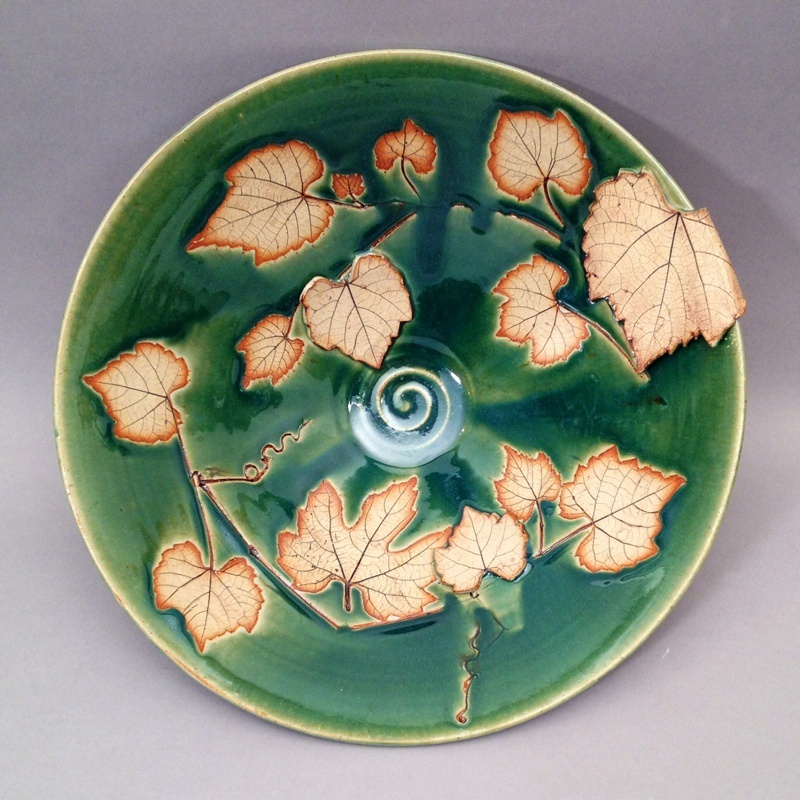 Mary’s love of plants and nature is evidenced in her choice of motifs and glaze colors in her pottery. 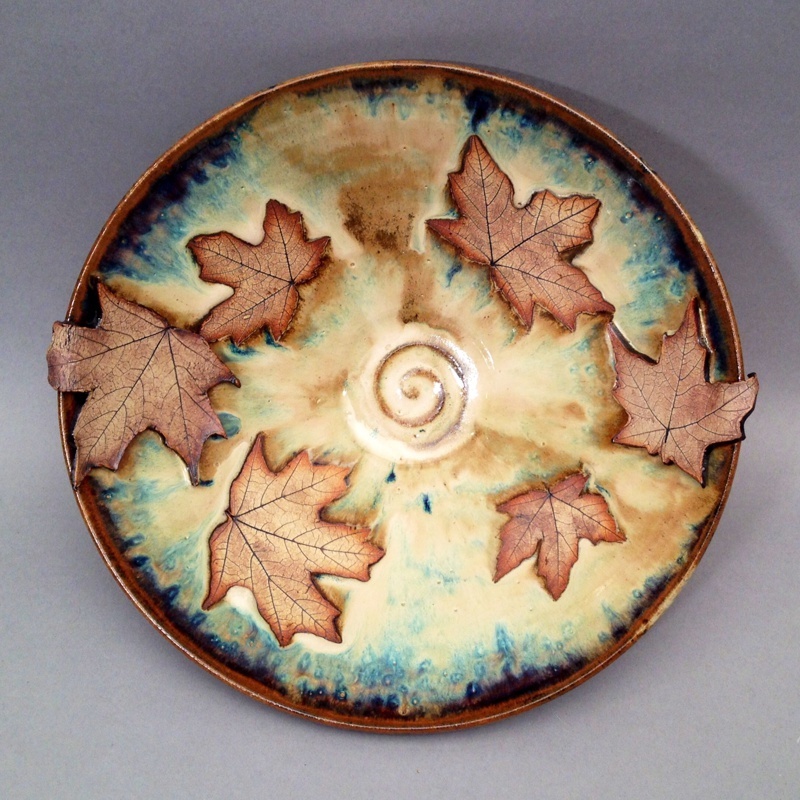 Many of her pieces feature impressions of real leaves. 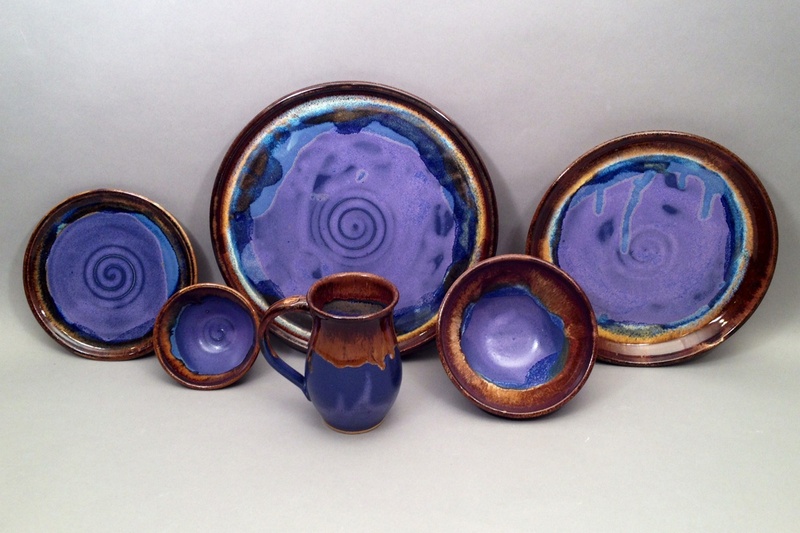 She participates in several art shows each year and is a member of Artists’ Own Gallery and Wabash Valley Potters. 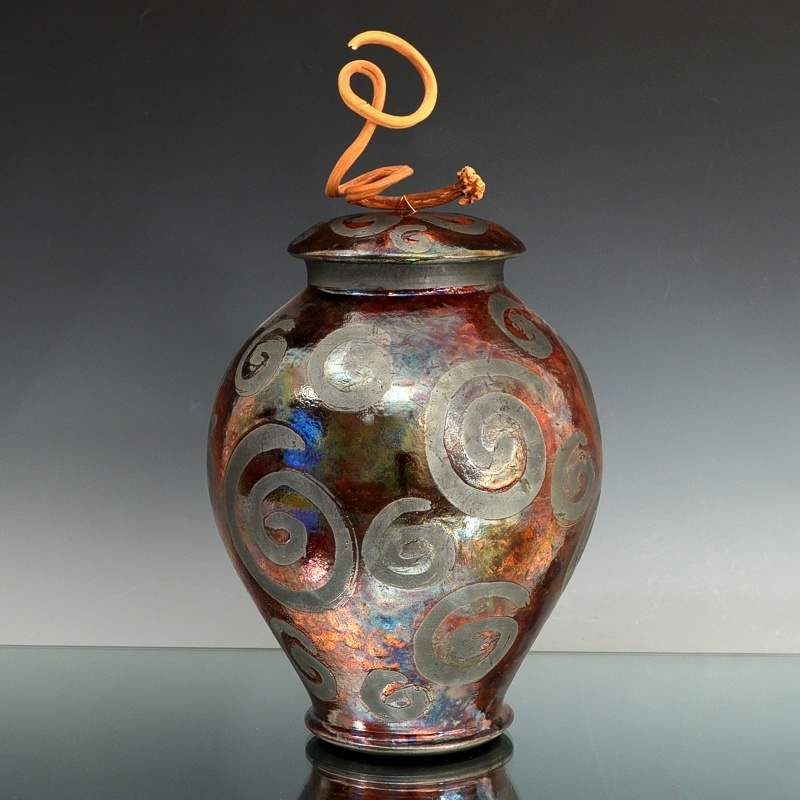 She juried into the Indiana Artisans program in 2011. 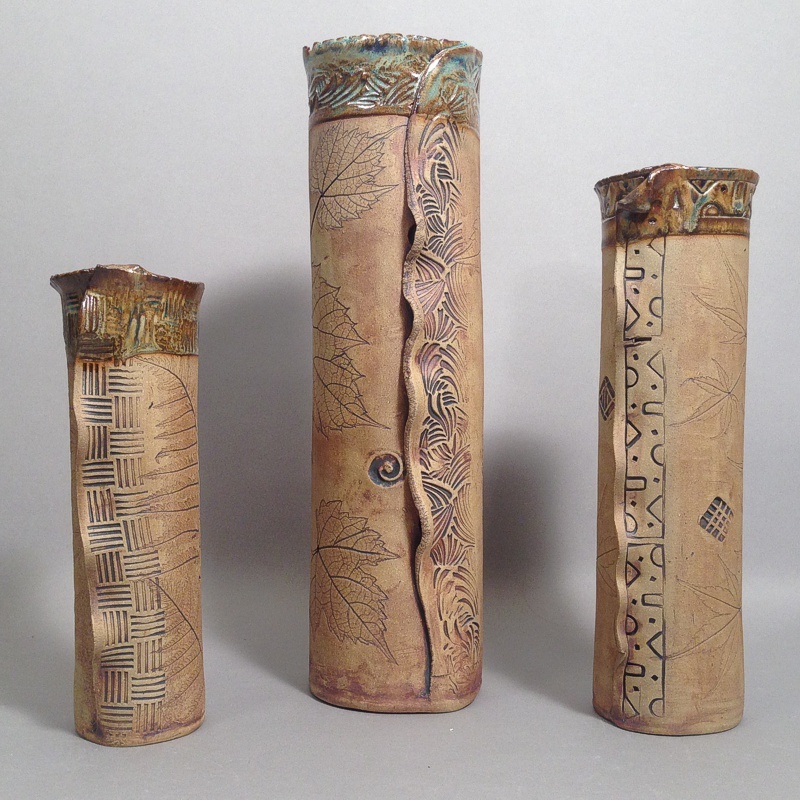 Her work consists of mostly functional items for the home and garden created in high-fired stoneware and porcelain. 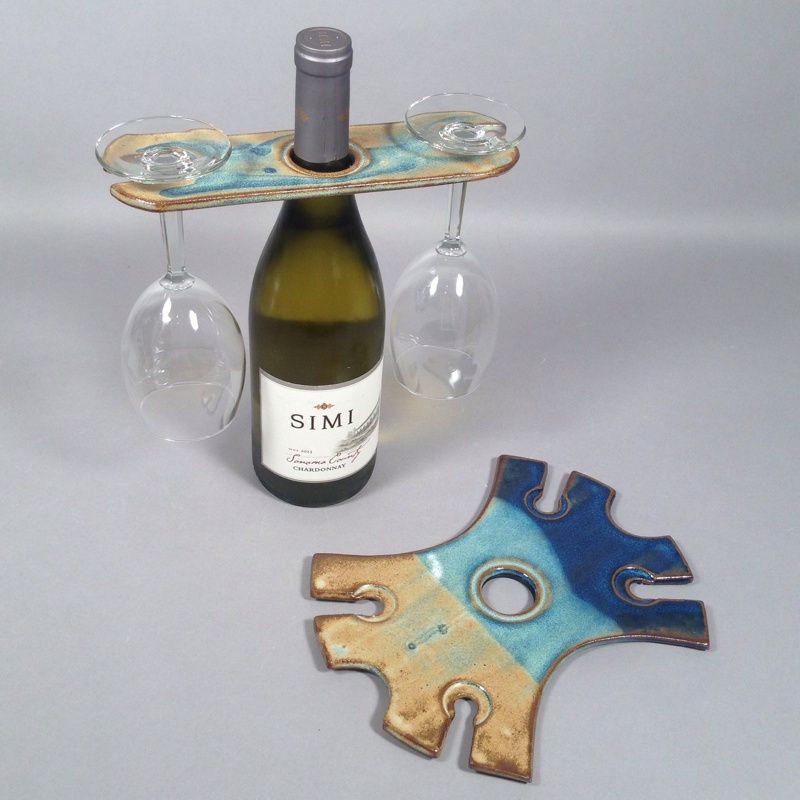 She encourages collectors of her pieces to enhance their lives by using art every day. 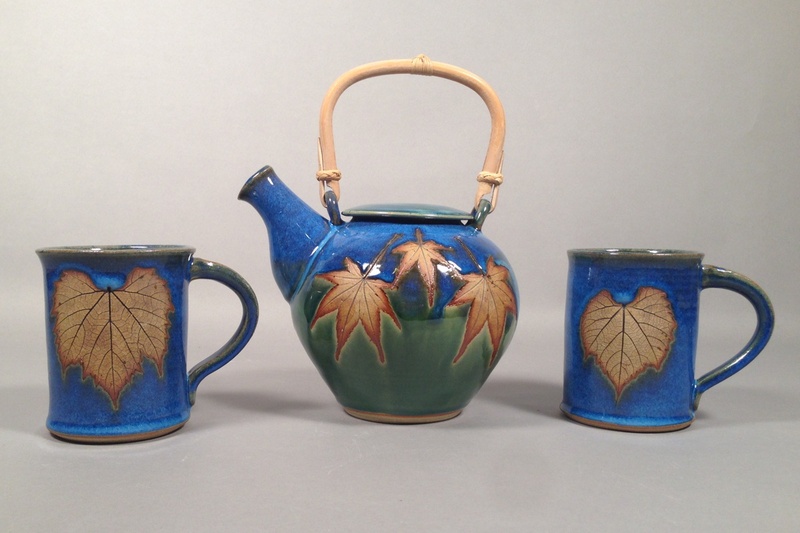 My work consists of functional and decorative items for the home and garden, created in high-fired stoneware, and often embellished with native Indiana leaf impressions. 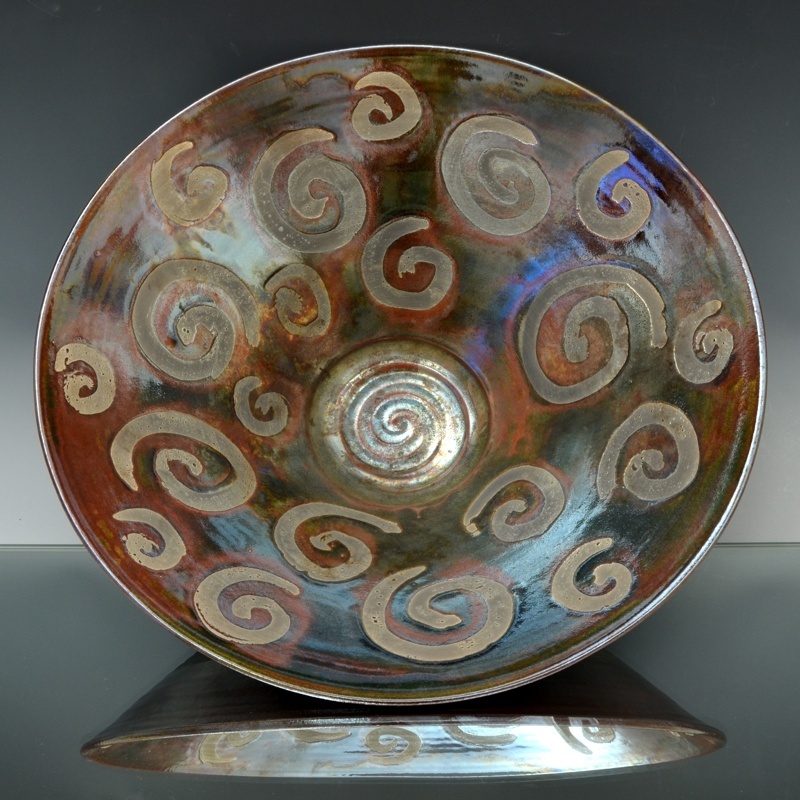 I encourage collectors of my pieces to enhance their lives by enjoying art each day.